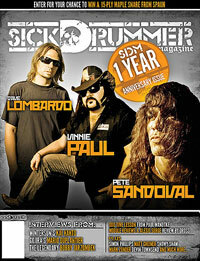 Paul’s SD Magazine lessons mentioned on Vic Firth’s news section! The Sammus Theory – Bailout Tour: Webisode 1. Paul Wandtke’s Sick Drummer column “Playing in 7” EXPANDED is now available!